With Christmas over and the new year nearly in its second week, I’m afraid I might have missed the boat with this, but I thought I’d share three of my Wholesome Cook related new year’s resolutions with you. Just before I do, I will say a word or two about these simple and delicious goat cheese and salmon crostini – an absolute new breakfast and snack favourite of mine! These mouthwatering sangers combine the flavours of sweet, salty and sour so well I just keep wanting more. They are perfect to take on seaside picnics too. Now, onto the resolutions… more recipes, more health-related content (including latest research), food news from around the place and cookbooks! 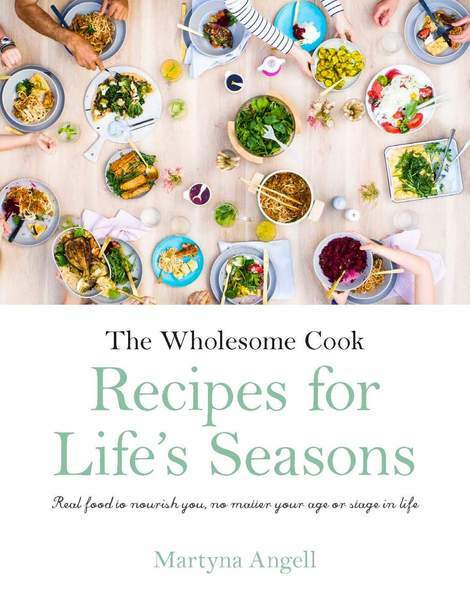 I hope you stick around, read and enjoy recreating some of my recipes for your own tasting pleasure… Happy 2011 and bon appetit! Place bread under a slow grill to toast very lightly. Mix goats cheese with paprika. If the cheese is too dry, add 1-2 teaspoons of caperberry water and mix to combine. 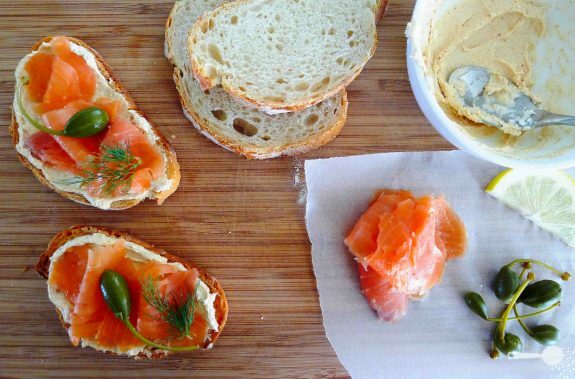 Spread cheese mixture over the bread slices, arrange sliced smoked salmon over it and top with 1 or 2 caperberries. You can top with another slice of bread and tie with some kitchen string to take on a picnic or serve open as a starter or cocktail party snack. Happy New Year Martyna! That looks yummy! And very simple. I love caperberries and goat’s cheese. Can’t get tired of saying how great and simple these recipes are! !